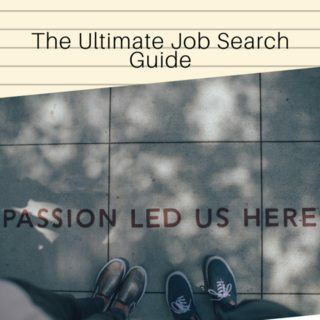 Job Search Monday: The Ultimate Job Search Guide | Challenger, Gray & Christmas, Inc. While the job search has indeed entered the internet age, the successful job search remains stubbornly dependent on old-fashioned people skills. The way to land a position has always been and probably always will be through face-to-face interactions with decision makers, working your personal and professional networks, and performing well in the interview. Those who recognize and utilize the new digital tools at their disposal without abandoning the interpersonal aspects of the job search are the ones who will experience the most success in any job market. Emerging technologies have made it easier than ever to uncover job opportunities, not only in one’s hometown, but anywhere around the country or even in other parts of the world. At the same time, these advances have made the job market more competitive than ever. Job search engines such as CareerBuilder, Monster, and LinkedIn, allow for fast and easy searching of job leads. Glassdoor.com and Indeed.com scour all other job boards and aggregate information for their members. While these are useful and necessary tools when looking for a new position, the ease with which these engines are accessed means a job seeker must compete with thousands of others looking at the same job leads. In addition to searching job boards, job seekers must build an online presence in order to even be considered for most positions. Recruiters and employers constantly search LinkedIn, the professional networking site which allows users to post their resumes, projects, and former accomplishments, for potential candidates. Other social media sites, such as Twitter, Facebook, Tumblr, Instagram, or YouTube may also be perused in order for hiring authorities to create complete pictures of their candidates. If you have a presence on these sites, it is imperative that you present a professional image. This can be achieved through the use of privacy settings or through using these sites with the eye that your profile will be judged by potential employers. Much like when wooing someone, you want them to know only the positive aspects of your personality. Unfortunately, simply ignoring these sites and not building an online presence will likely hurt a job seeker, as employers may decide the candidate is not tech savvy enough or willing to learn, both traits employers value. Additionally, employers want to know that you can present yourself, as a representative of the company, in a positive light. Job seekers who have embraced this new technology are a major threat to those who shun these methods, either due to lack of understanding, fear, or stubbornness. When presented with two candidates, one who has a video resume with samples of her work, a Twitter account that links to relevant news items and academic studies, a LinkedIn profile packed with links to her relevant school work and presentations along with recommendations from previous employers and possibly shared connections with the hiring authority, and the other a candidate who emailed a resume but has no additional online information, the hiring authority will likely call the former in for an interview. In addition to changes in searching for jobs, networking methods and interview procedures have turned digital as well. LinkedIn supports numerous industry- and position- specific networking discussions. Video conferences, using Google Hangout or Skype, allow executives to access each other from anywhere. Companies increasingly turn to phone and video interviews as first contacts. While employers and candidates eventually meet face-to-face, due to the massive numbers of applicants, hiring managers will weed out candidates over the phone or through video chat, underlining the importance of practiced interviews. While the process has seen a decidedly digital turn over the last 10 to 15 years, some important aspects of the job search and interviewing have stayed the same. Job seekers must tap into their personal and professional networks when looking for jobs, and in fact, build bigger networks through meet-ups, luncheons, and courtesy interviews. Scheduling face-to-face discussions with executives at companies for which a candidate would like to work will help hone networking skills and practice interviewing. What are your major accomplishments? Where can you most help an organization? Give examples. Meanwhile, this method expands a job seeker’s network by meeting new, influential people. Despite a stellar online presence, a candidate’s likability is still tantamount to getting a job offer. If the hiring manager and other executives included in staffing decisions do not connect to a candidate on a personal level, it is unlikely they will give that person a job. This is why a recommendation from someone in one’s network is so important. These engines review every other job board for job opportunities and collect them into their site for their members. Executive Search and company recruiters can more easily find qualified candidates for positions, because of heightened visibility on social and professional networking sites. You-tube has exploded as a way of people video-branding themselves, allowing recruiters and hiring authorities the ability to assess candidates. Interviewing via Skype has become popular. A candidate’s activity in social media has become an indicator of performance based on postings and pictures. LinkedIn has become a #1 driver for on-line networking. Member’s connections can increase exponentially providing added exposure as a person, a business owner, or a job candidate. Facebook and Twitter are playing a more prominent role in job search process, because companies have developed a presence on these sites. Keeping up with managing one’s own image can be like another part-time/full-time job. Like companies, some people actually hire people to manage their on-line image due to its increasing importance. A person’s past also follows them more easily than ever before and could be harder to ditch – depending on what’s in their past. A person can develop an on-line persona as almost an alter ego. What Aspects of the Job Search Will Never Change? This initial interaction could be via video interview or face-to-face. A candidate needs documentation in order for an employer to become interested, such as a resume and school transcripts, or increasingly social media. Behavioral interviewing will continue to be the predominant way of screening. Image will continue to be vital to how an individual is perceived by those he or she meets, be it a decision maker and/or a potential employer. Networking whether on-line of face-to-face will continue to serve as a strong tool to connect an individual to the world and expand connections. Recommendations, either digital or in person, will go a long way in securing employment. Job seekers with college degrees or equivalent training will have the upper hand over less educated competition. It remains important for a candidate to establish rapport and chemistry with the hiring authority. Companies will continue to work with job, psychological, and social assessments tools to identify skills and good fit. It will remain important for the job candidate to listen to understand what a company is seeking so they can fit those parameters. Background and criminal record checks are here to stay. The job market is still a “buyers” market, unless you have a very unique and desirable skill set. Do not attempt to negotiate salary or benefits before a job is offered. Related: Our podcast on looking for a new job! Subscribe on iTunes. to get the latest HR news, trends, and issues.